A grand piece of theater is unfolding in San Jose, California where Apple (s aapl) is conducting an intellectual property show trial against Samsung. The iPad maker claims its Korean rival is a cheat that copied Apple’s gadgets instead of making its own. The storyline (true or not) is simple enough — a popular inventor fights to protect the fruits of its genius from a shameless imitator. But Apple’s ability to tell that simple story in court is based on a sophisticated legal strategy that took as much time and creativity to develop as any one of its products. Apple’s custom-built legal strategy can be seen in the unusual legal arrows it’s using to sling Samsung. The company’s dramatic accusations that Samsung “slavishly copied” the design of the iPad and iPhone, for instance, are based on a type of patent (called “design patents“) unfamiliar even to most intellectual property lawyers. Far less common than conventional “utility patents,” design patents protect the ornamental aspects of a practical object. According to law professor Sarah Burstein of the University of Oklahoma, design patents were traditionally limited to fields like furniture and lighting until Apple began obtaining them for consumer electronics. “It’s a credit to Apple and its patent counsel who made progress in getting them through clever claiming,” said Burstein, who specializes in design patents. In addition to design patents, Apple is also using another lesser known form of intellectual property known as “trade dress” to jab Samsung. 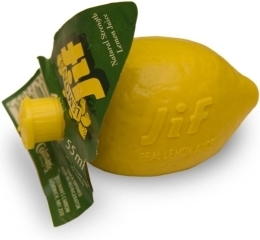 Unlike trademarks which protects names and logos, trade dress protects distinctive shapes and packaging like Jif’s lemon juice bottle or, in this case, the iPad. “Most companies don’t do much with design patents and trade dress. It’s an after-thought but wasn’t for Steve Jobs,” said intellectual property lawyer Peter Toren of Weisbrod, Matteis & Copley, noting that Jobs has his name on hundreds of design patents, including the stairs of the Apple store. Neil Wilkof, an Israeli law professor and IP lawyer, says the company’s fixation with intellectual property dates back to the 1980s when it confronted clones that copied the operating systems of Apple II computers. Apple made history in 1982 when it won an appeals court verdict declaring for the first time that companies could use copyright to protect the software embedded in chips. For Apple, this was just the beginning of an effort to push out the legal boundaries protecting its products. By the 1990s, Apple lawyers had developed a strategy of wrapping layer after layer of legal rights around each gadget. These layers can include one of its dozens of i-related trademarks or some of the thousands of patents in Apple’s portfolio. “Apple is very much a believer in using a coordinated, comprehensive intellectual property protection scheme,” said Toren, the IP lawyer. In practice, this means that any Apple product — from basic headphones to a 16 GB iPad — is bristling with utility patents, design patents, trade secrets, trade dress, copyright and other legal spikes designed to keep its competitors far, far away. The company’s obsession with intellectual property is also reflected in its refusal to prune its patent portfolio. Typically, companies let some of their weak patents lapse rather than paying thousands of dollars in maintenance fees to hold onto them. Not Apple. According to the Patently-O blog, Apple never abandons a single patent. And the company is still at it. Apple’s most recent coup is what appears to be an unprecedentedly broad design patent for the wedge shape of its Mac Book Air laptop. Apple’s bulging intellectual property package is paying off in its fight with Samsung. The company can hold up each patent or trademark as a badge to tell the jury and the press that it alone is the inventor. If the company wins in San Jose, the verdict will vindicate both its narrative and its aggressive legal strategy. In the bigger picture, though, Apple’s innovative use of intellectual property may ultimately be harming it and everyone else. In the years since Apple won its 1982 copyright claim, more and more companies are clogging the courts with IP claims of every description. These include big companies who use their IP to squash startups that can’t afford lawyers as well as patent trolls — shell companies that don’t make anything but use second-hand patents to shake down companies that do (including Apple). In the hype surrounding the Apple-Samsung, it can be easy to forget that, for consumers, more intellectual property means more monopolies — and higher prices. It also means that companies divert research money to lawyers and that the overall space for innovation shrinks. Most the components that Apple products use (like for the iPhone 4s) are not even theirs! I am disappointed that Samsung lost the lawsuit against Apple (in the states), but the battle has only just begun, and if Apple thinks that they can continue to patent silly things like ’rounded edges’, they are fooling themselves. Being a past Apple user, I can confidently say that Apple is not user friendly. If you need to go to a seminar where you have to learn how to use the product (example of where this happens is iPads being sold to businesses or schools – comes with a seminar as part of the package), how is that innovative or user-friendly? Samsung has shown us with their Galaxy Note 2 10.1 that they ARE innovative, and they want consumers to be happy with their products while being able to afford it and be able to use it with no or less difficulty. Every Asian company should be able copy everything Apple, or a Dyson create just give it all away huh?. like everything else in consumer goods, Dell and HP in five years won’t even be in the consumer PC business, Apple should protect themselves by all means necessary. I would suggest that Apple’s focus on patents resulted from losing their infringement case against Microsoft in 1994 or 1995. Essentially the judge ruled that, without valid patents, Apple could not claim originator status on their expression of a GUI user interface. The judge also ruled that the GUI concept (as of 1994) was quite generic and that the actual designs used for Apple’s icons, and such, were ‘obvious’. Who said Samsung has not been innovating and only copying? Design patents unfamiliar? Really? Wasn’t the multi-year Harley vs. Honda (et al) firestorm big enough to get attention. Yes, Harley finally called it quits, but it was a multi-year public fight. Re: “the downside” at the end of this article. It makes no sense. You say the downside is that the “courts are clogged” with people and companies arguing for their IP. But this is exactly what the courts are for. It’s like saying that a new way to identify killers and rapists has been found, but (OMG!) the courts are now full up with endless criminal trials, and that’s “bad.” WTF? Foul. ALL intellectual property lawyers are familiar with design patents. It’s part of their training. There are only three types of patents after all. Apple didn’t invent putting cameras in phones, or icon based phones, or GPS in phones, or wireless in phones or music playing phones, (we have samsung to thank for the last one) any of the half a dozen features they tout.. Had the people that DID invent those things been even half as patent crazy as Apple, the iphone would be a calculator…. oh wait they didn’t invent that in phones either. To use all that other tech invented by others and then kick up about a patent over multitouch or bounce swiping is just crazy. They are a very small marketing man standing on the shoulders of giants and they’ve convinced themselves they are one of them. I would take exception with your conclusion too: Apple, which this article is about, doesn’t have a monopoly in any market it plays in, and all competitors are finding out the hard way that the “Apple tax” is no more. As for the money going to lawyers and not R&D, I think Apple can afford it…. Also, a trade secret is really not something one can use to defend themselves in an argument like this. If one loses a trade secret, it IS lost. As much as I love Apple products, it seems that at some point its devotion to exclusive ownership over its design and ideas will appear as silly as the Mickey Mouse copyright laws that Disney continually pushes for. At a certain point it merely looks like you’re trying to stave off any competition that remotely resembles you. I used to like Apple products, until they stopped actually selling them and encumbered them with so many controls that I no longer had any control over the stuff that I thought I bought. There really ought to be laws enforced that stop companies from claiming to “sell” products in their advertisements, of telling customers they can “own it now” and then claiming later that there was no sale, only a license. Either it is a sale or not. If it is a sale, then the customer should have control over it. Complete control. If not, then companies should be required to use the words “license” or “lease” in their advertisements. Basically it is fraud and Apple, like many other companies, defrauds their customers every day like this. Your car will not go from 0 to 60 MPH in 1 second, so you don’t have complete control over it. I suggest you take this fact to any court, tell them it means the car was not sold to you, and see how far you get. The conclusion is debatable. For example, without these patents there would be many more “Samsungs” copying an original design. Having multiple equal devices from vendors isn’t necessarily innovation. The same data can be used to bolster the opposite argument, meaning that because companies can’t just copy directly the design, they are actually forced to innovate – and I think MS Metro interface for their WP is a good example of it. You are a lawyer, right? Thinking about what arguments the other side *could* use? I hope so, because it is terrifying to think that a human being could actually believe the nonsense you just wrote. HI Renee, I’m not sure if your comment is directed at me or another commenter. Can you please provide a little more context about what is “terrifying” and “nonsense”? A tornado that could destroy your house is terrifying. The possibility that someone could accept a post on a tech site is not terrifying. Wow, rounded corners- really an innovative design. EXCEPT- Apple copied the rounded corners from Sony. And Samsung had a design prototype from 2006. Quit slavishly repeating the Apple BS story and start using your brain.